I think there is a "castle" or at least a building in Moorestown, NJ. that may qualify for you castle collection. The building is now the main part of the Lutheran Home here and certainly is a beautiful building even though somewhat smaller then most you have on your website. I am familiar with the Luteran Home building in Moorestown, NJ. It is a large building and it is beautiful as are many structures in Moorestown. I do not, however, think it in any way qualifies as a "castle". I used to work there part time so I've been inside. It houses the administrative offices and a library of old books. 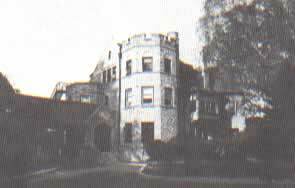 I wanted to let you know that I found information about the "unknown" castle in Moorestown, NJ. It was called Breidenhart Castle. This was taken from the website of Lutheran Social Ministries of NJ.